Since 2013, VaatiVidya has been breaking down the extensive, nebulous mythology that hides underneath the surface of From Software’s Souls games at his YouTube channel. He’s done an excellent job of plumbing those murky depths and retelling their stories through artfully written and produced videos, often with an eye toward the more human side of the series. (One of his features is called “Prepare To Cry.” It’s a play on Dark Souls’ tagline but also an accurate reflection of how damn depressing its character backstories can be.) 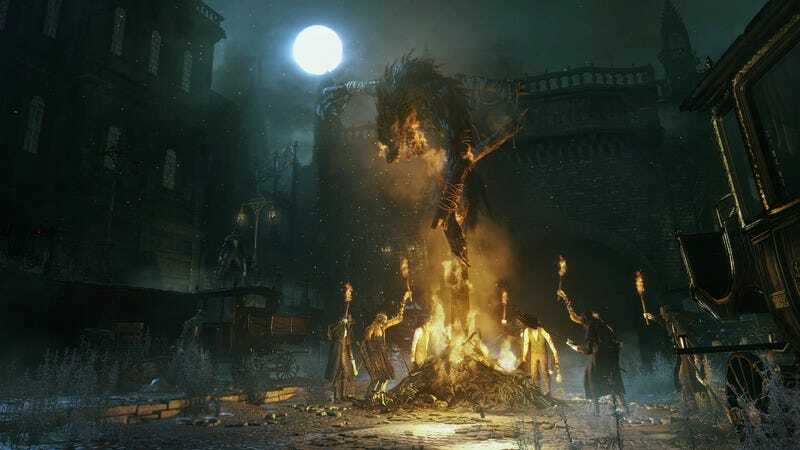 Ever since its release, he’s turned his attention toward Bloodborne, From Software’s latest game, and today, VaatiVidya delivered a massive 30-minute video that explains what the heck is actually going on in the werewolf-plague ravaged Victorian city of Yharnam. It’s just as carefully constructed as any of his past work, and makes for the perfect accompaniment to that Bloodborne New Game+ you might be thinking about launching over the thee-day weekend.